John’s Horror Corner: Terrified (2017; aka Aterrados), a pseudo-anthology approach for fans of paranormal investigation horror. MY CALL: This is one of few films that impress me in all aspects of filmmaking in this genre. Excellent pacing, creepiness, scares, dread, acting, writing, shots… I loved it. Definitely a must see for fans of foreign horror, horror anthologies (about half this film is anthology-like) and paranormal investigation-themed horror. 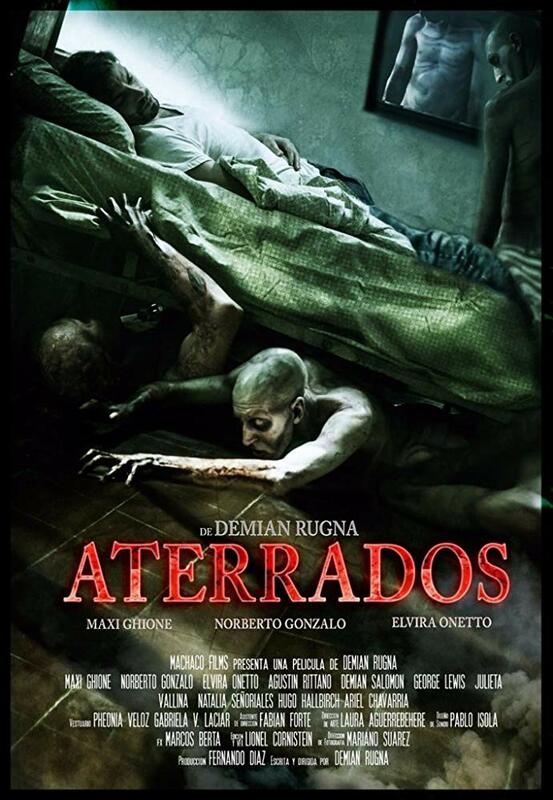 MOVIES LIKE Terrified: Well, the film most influential to Aterrados was probably Poltergeist (1982) and those that followed, such as Paranormal Activity (2007) and Grave Encounters (2011). Sometimes very early in a film you get a sense of excellent execution, and that’s what I sense here. The opening scenes depict a woman who hears faint muffled “voices” in her kitchen sink drain. This may sound silly, but it’s not. It’s handled well, the actress (Natalia Señorales; Cursed Bastards, The Colony) nailed her reactions and lines credibly, her husband reacted appropriately, and I felt nervous for her—and I’m as cynical as they come when it comes to horror! Wasting no time, the husband has an analogous experience I’m left expecting something of an Argentine Poltergeist homage. However, the brutal “shower scene” that follows informs the audience that we’re in for something considerably for vicious. They believed that their neighbor Walter (Demián Salomón; Cursed Bastards) had been doing some home renovations. The truth is, he’s been under a lot of stress lately and the sounds his neighbors heard were related to his diminishing sanity. His bed has been moving itself (with him in it), furniture stacks itself, and he gets a digital camera to record whatever it is as proof (all a la Poltergeist). Walter’s encounters are genuinely creepy! Another segment focuses on the “return” of a dead child to his mother… but he returns (on his own?) as a motionless corpse days after his funeral, baffling police investigators—one of whom (Norberto Gonzalo) recruits a paranormal investigator (Elvira Onetto; Jennifer’s Shadow) who is on site of the previous story segment (the neighbor, Walter). Once all three stories have converged, the police team up with the paranormalists to canvas the houses for evidence and spend the night. Things escalate, of course. The writing is sound as the different story segments overlap, transition, and even comingle. Sweeping neighborhood crane shots express the filmmakers’ love of the product. I’m really impressed with the performances across the board. Characters seem to react at least somewhat rationally to irrational circumstances, both victims and police alike. All of our victims are sincerely believable, the creatures’ movements and presentation are spine-tinglingly creepy, and the pacing and staging of scares readily cultivates dread with ease. The little boy’s corpse motionless at the dining room table was a freaky scene and the boy’s prior death scene was simply startling. EVERY scene with the motionless boy’s uninterred corpse had me pressing my back into my seat. It’s unnerving. There are some excellent “subtle” jumpscares in this, along with some blatant OMG jumpscares. One such scene is a contorted inhuman body under a bed, others of sunken pale humanoid figures scampering about, eerie shadows and out-of-focus reflections, claws grabbing at things (or at heads!). There are also some creepy AF body contortions. What makes this film work so well is how it is credible and engaging throughout its entire duration. The pacing is its perfection. Contrary to what we’ve come to expect from the genre, this film has no slow parts and the exposition is rather uniformly sprinkled across the scenes rather than exposition-dumps from ancillary “expert” characters or ranting harbingers. 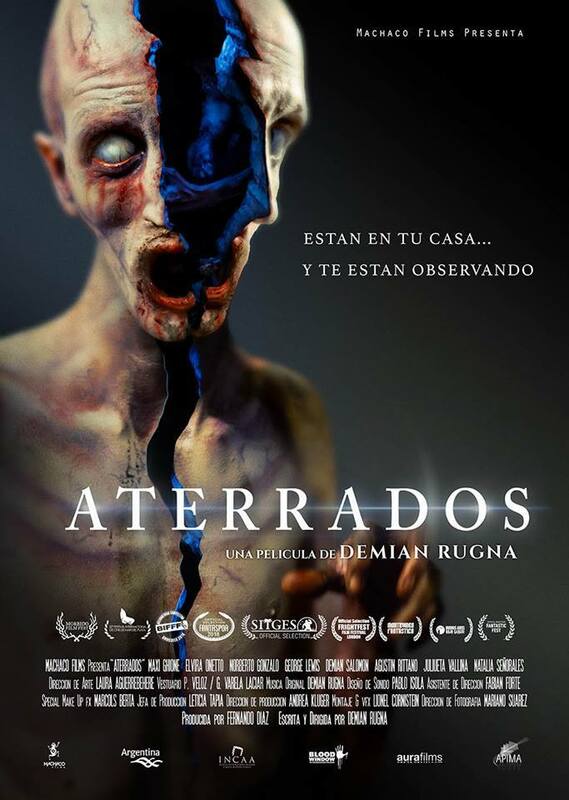 Writer/director Demián Rugna (Cursed Bastards) is officially on my radar now! Additionally, you can just feel the work that went into all elements of this film. It’s… excellent. ← John’s Horror Corner: Curse II: The Bite (1989), a B-movie about a mutant snake hand puppet.